When you buy a new or used vehicle, the title is the most important document involved in the transaction (other than payment). While the process for transferring a title varies slightly in each state, the basic elements are the same. First, the legal owner releases ownership of the vehicle. Then the buyer registers the sale and the released title with the state. The same process holds true even if no money exchanges hands, such as when a parent transfers ownership of a vehicle to a child. Most states also have different processes in place when one or both parties are car dealerships. A car title prescribes ownership of a vehicle. It lists the vehicles details, such as the year, make, model, mileage at time of the last sale, Vehicle Identification Number (VIN) and the name and street address of the owner. If there are different legal and registered owners, the title shows this information. Titles are issued at the state level by the department of motor vehicles (DMV) or motor vehicles division (MVD). Traditionally these documents were known as pink slips, although many states now print titles on other colors of paper. In many states, a title is officially called a Certificate of Title. Title transfer is easiest when the seller of an automobile is both the legal and registered owner. Here, the seller simply fills out the required information on the title and signs the document. Typical information required for title transfer is the date of sale, amount of sale, the name of the purchaser and the odometer reading at the time of sale. The address of the purchaser may also be required. 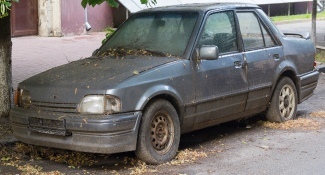 Once the seller has filled out the required information and signed the title, their interest in the vehicle is released. Once the seller has released their interest, either the seller or the purchaser must deliver the title to the DMV. Most states have filing or transfer fees that must be paid either when submitting the title or when requesting a new title. Additionally, payment of sales tax on the purchase price may be required at the same time the fees are paid. Once the signed title has been submitted to the DMV, the new owner can submit an application for a new title, as well as for new license plates and registration. 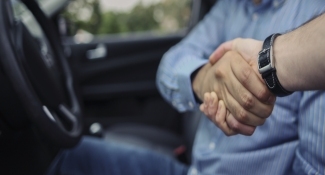 When the legal owner and the registered owner of a vehicle are different, the transfer process requires a few more steps. The most common lien holders are banks or car dealers that provided financing when the seller purchased the car. Less common types of lien holders include family members that purchased a motor vehicle together, such as a married couple. Additionally, a parent may be the legal owner of a vehicle that is registered in a child's name. When the auto loan is from a bank or car dealer, the loan needs to be satisfied before the title can be transferred. 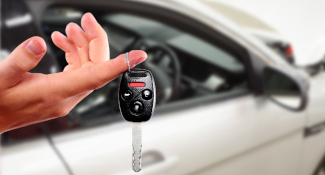 In this case, it is best to communicate with the lender prior to completing the vehicle sale. Different lenders may have different procedures to follow to ensure the loan is satisfied (paid off) prior to release of the title. A common practice is to have the purchaser of the vehicle pay the remaining loan balance directly to the lender. The balance of the purchase price is then paid to the seller. Alternately, the entire purchase price can be given to the seller with the bill of sale noting that the seller must pay off the loan. Once the loan is settled, the lender can sign the title and fill out the required information. They can then either send the title to the new owner or directly to the DMV. Once the title reaches the DMV, the process is the same for the new owner as when purchasing a vehicle without any liens. When there are multiple legal owners of a vehicle being sold, each of the owners may need to sign the title. Typically this is the case when a title lists two or more people separated by 'and,' such as 'John Doe & Jane Doe.' Alternately, when names are separated by 'or,' such as 'John Doe or Jane Doe,' only one of the named owners need to sign the title. Some states require additional forms to be submitted along with the title. This may include an application and forms specifying the amount of taxes included with the application. Additional paperwork might be necessary if the vehicle was previously registered in a different state. For example, Pennsylvania requires a tracing of the VIN to be submitted with out of state titles. On some cases the seller may need to sign the title in more than one spot. The purchaser may also be required to sign as well. For example, some odometer disclosures require a signature by both parties. Most states require the signed title to be submitted to the DMV within a certain time frame after a vehicle sale. This varies widely by state, from as few as five days in Louisiana and Washington to 60 days in West Virginia. Deadlines in most states range from 10 to 30 days. Many states also have a deadline for the new owner to submit an application for a new car title. In Washington, for example, the new owner has 15 days to apply, while Wyoming gives new owners 60 days. Some states allow electronic title transfers, although many still require the signed title to be mailed in or submitted in person. Vehicle transfers between family members follow the same title transfer process but in some states, sales tax does not apply. This is also true when transferring a vehicle as a gift. If you change your name, such as after marriage, you must transfer the title and registration to your new legal name. Many states waive transfer fees when transferring the title to yourself under a corrected name. Auto dealers often have an extended period of time to submit title paperwork. Alternately, they may be required only to submit the Certificate of Title of a purchased vehicle when the vehicle is resold.